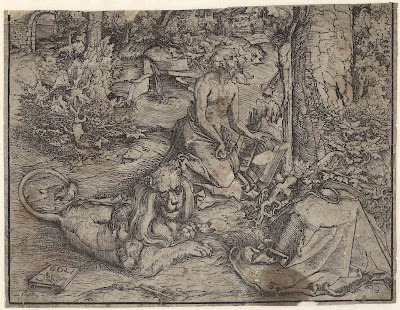 Inscribed with the artist’s initials and the date of execution on the tablet shown lower left. 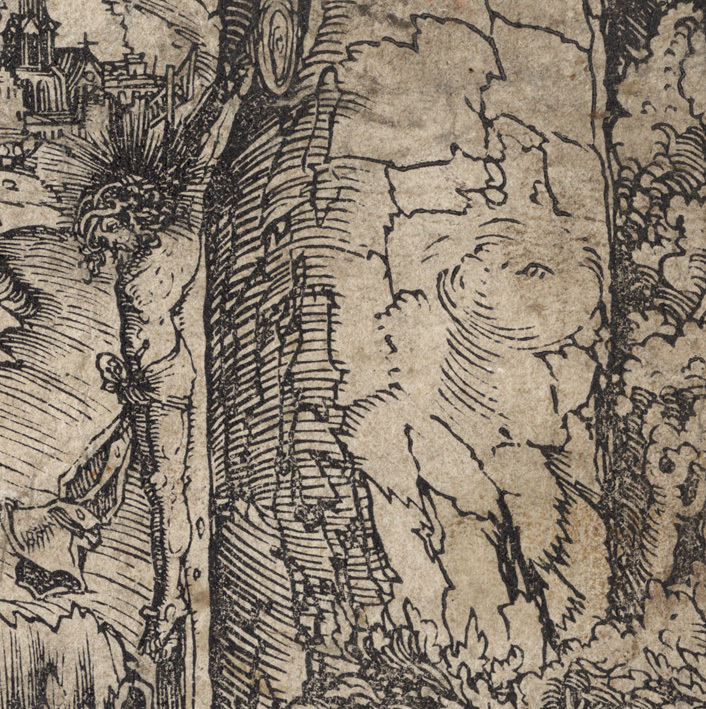 Condition: strong impression (possibly a life time impression based on the crispness of the line) in poor condition with soiling, stains, loses and consolidations (verso) overlaid with a fine conservator’s support sheet. 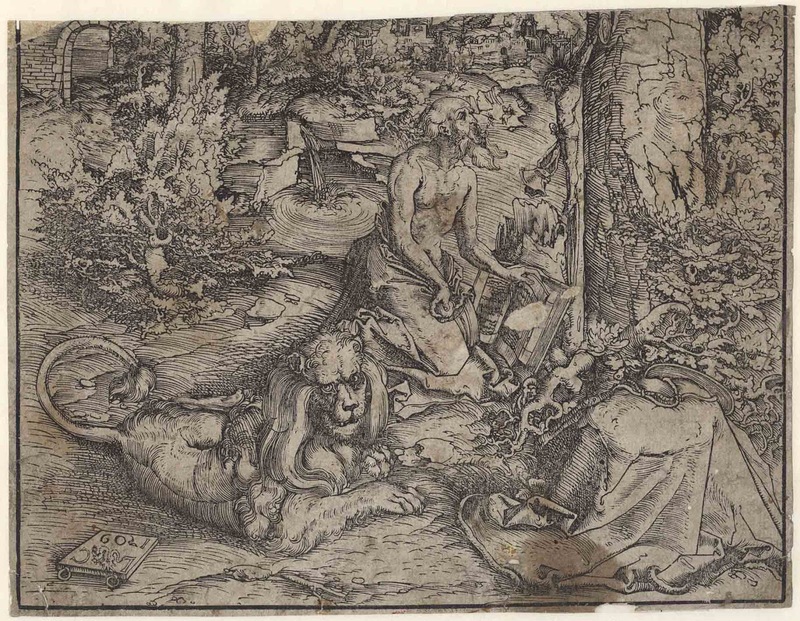 I am selling this exceptionally rare woodcut print by one of the most famous German Renaissance artists, Lucas Cranach the Elder, for AU$579 in total (currently US$438.64/EUR393.37/GBP337.79 at the time of posting this listing) including postage and handling to anywhere in the world. 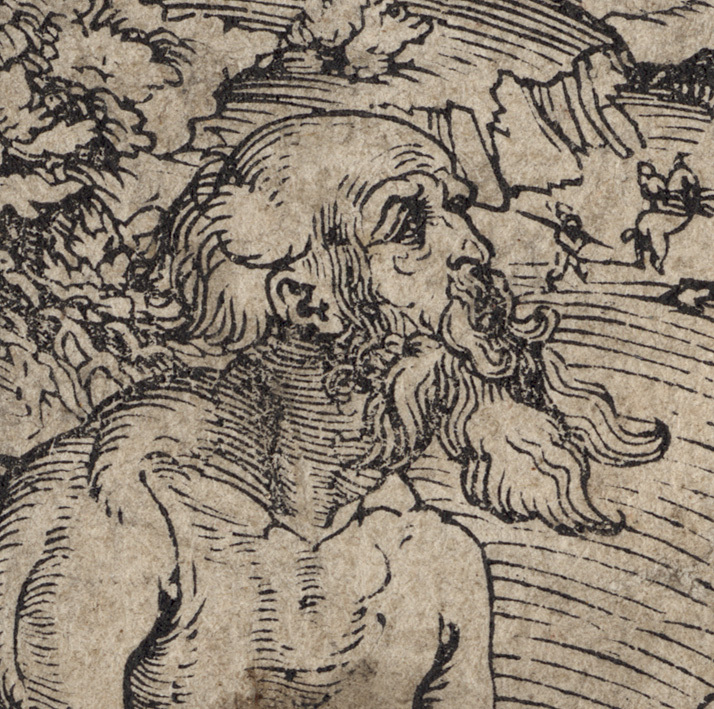 If you are interested in purchasing this woodcut created in 1509, please contact me (oz_jim@printsandprinciples.com) and I will send you a PayPal invoice to make the payment easy. 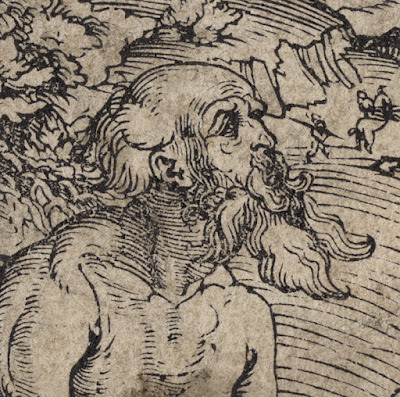 Although this exceptionally rare woodcut print by one of the truly great German Renaissance artists, needs a conservator’s support sheet to ensure that it will last another millennium, the image itself is worth close examination as there are so many interesting details. 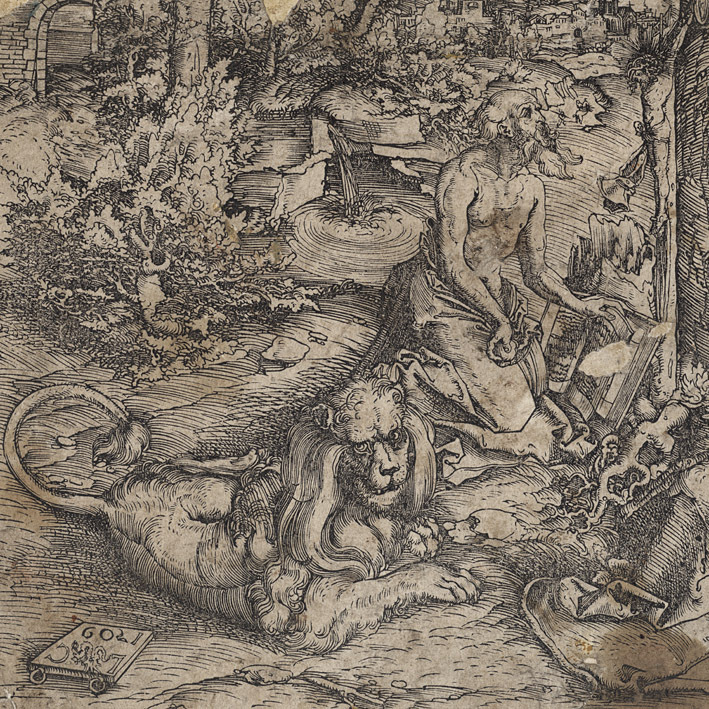 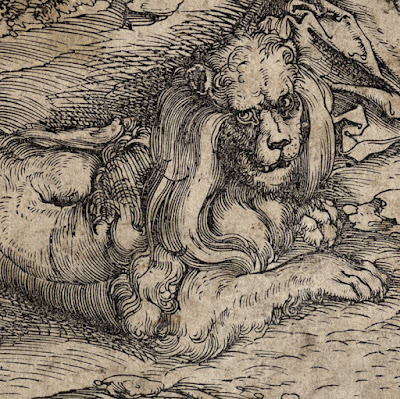 For example, the magnificent lion shown in the foreground—the lion is a symbolic attribute of St Jerome after he lovingly extracted a thorn from its paw—is portrayed twitching its tail as it looks directly at the viewer. 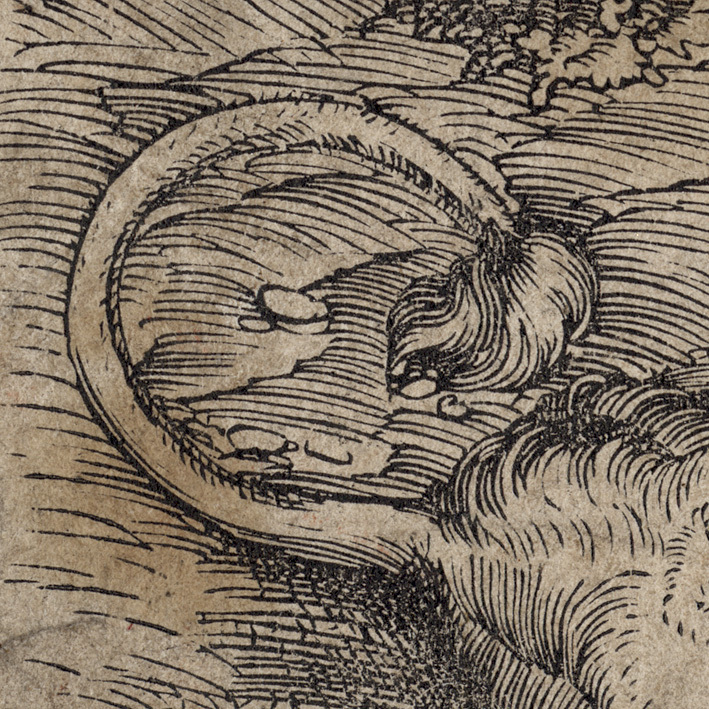 This twitching movement of the tail, of course, plays a significant role in the biblical story of St Jerome. 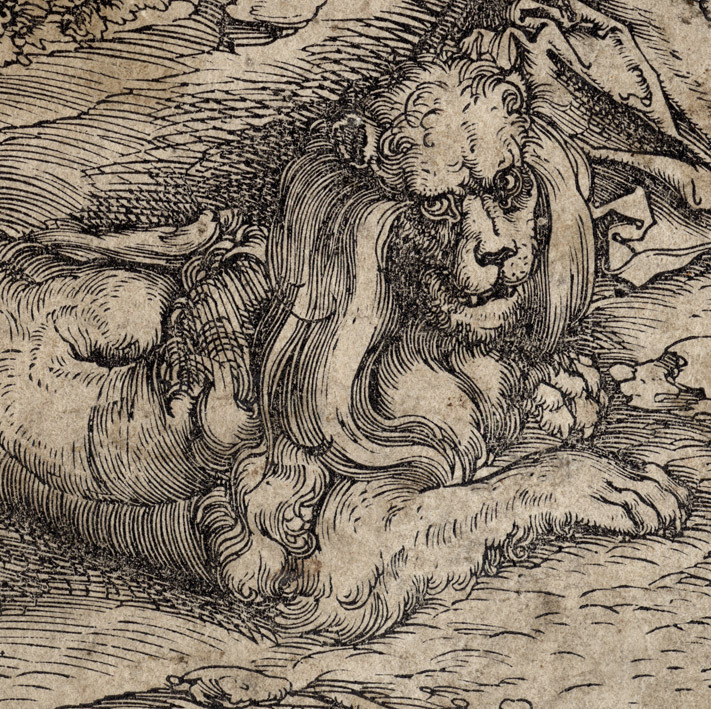 Essentially, the way the lion wags its tail is its way of communicating with the saint. 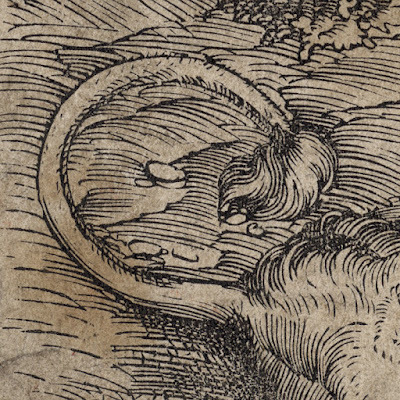 The notion of small movements is also captured in other details to be seen further into the distance. 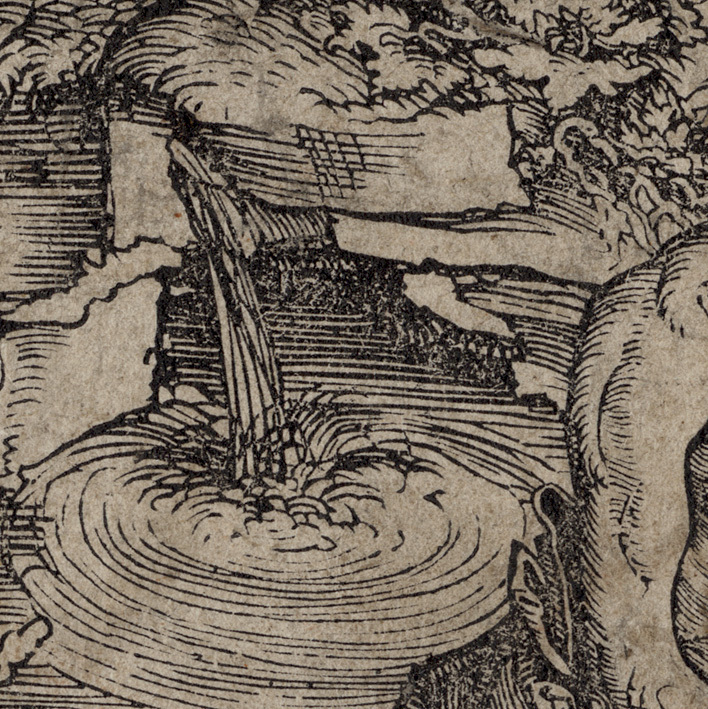 Note for instance, Cranach’s representation of a small waterfall behind the saint and the curious billowing movement of Christ’s loin cloth in St Jerome’s vision of him crucified.